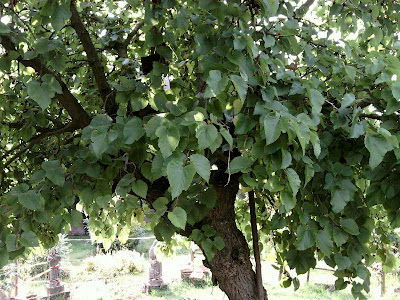 This is a picture of a Mulberry Tree; but not the type that gives silk. On a cold and frosty morning "
The story goes that a sprig of mulberry found its way into the exercise yard of HMP Wakefield, a women's prison. Thus when, in due course the tree attained a mature height, it became part and parcel of the daily exercise routine. There is no conclusive evidence for this; but I for my part hope it is true. This strategy encourages the formation of a virtuous circle in which the employee wants to be part of the process; endorsing the values of the firm. The more the employee feels he/she is wanted, the more effective will be the service to the customer. This Photograph was taken from Chedworth Roman Villa, a National Trust property. 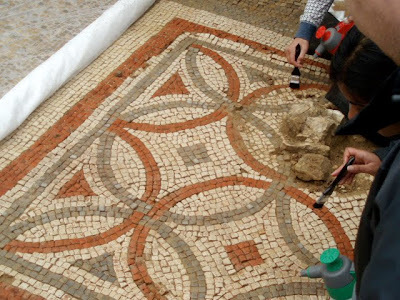 It shows new mosaics being worked on by Archaeologists; in order to clean and preserve the 2000 year old tiles. In this blog today, with or without your forbearance, I want to start to look at trends within the retail market place. I have recently retired from any form of employment and wish to write down my thoughts over the next three postings on this subject before I forget. in managerial thoughts and plans. Whether we like it or not, our planet is warming up; and as a consequence energy costs are rising. 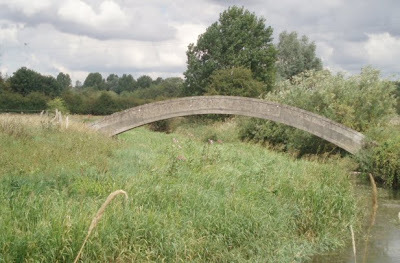 Started out on the second leg of the journey; from Cricklade to Lechlade; following the Thames Path. I have to say, if they ever make a television programme of this walk, this first couple of miles, may well be edited out. Cricklade, itself was looking in fine shape and by coincidence, this was the day (02/08/'10) when the judging for the village " In Bloom " was taking place. Thus the hanging baskets and pavement tubs, were looking, very colourful and weed free. But, as I headed out of the town, the path showed signed of some urban decay, especially walking under the bypass, where I spied my first sight of Thames-side graffiti. It was unfortunate, that owing to the lack of rain, the ground was hard and gave, in some of the fields more of the appearance of scrub land.